In kindergarten, Islander was the Chinese queen on the ethnic court for May Day at her elementary school in Hawaii. In junior high, she learned how to make Chinese almond cookies in a required home economics class. In college, she and Monica C. from Taiwan were roommates for more than a year at a university in the Midwest. Now she continues to observe some Chinese traditions whenever she can, which can be a challenge when there is not a large Asian community in the area. Chinese New Year is probably the biggest cultural holiday Islander would celebrate. Although she does not cook a lot of auspicious foods for the occasion, one lucky dish she would make is Chinese almond cookies. 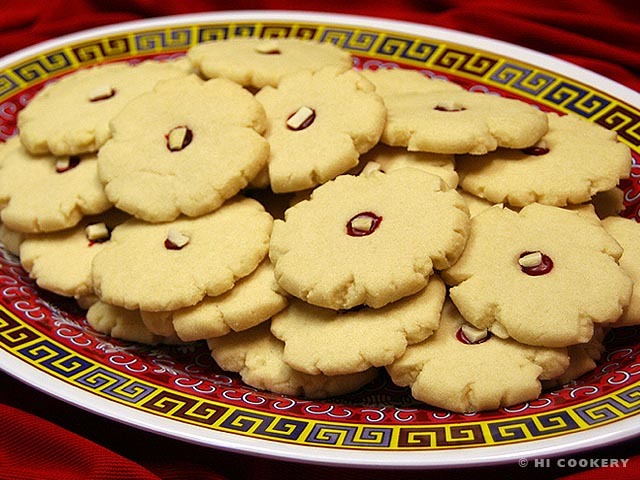 Fortunately, there is a National Chinese Almond Cookie Day and she could bake up a batch with the same recipe she has used since junior high. But these crisp confections can be enjoyed not just on Chinese New Year and National Chinese Almond Cookie Day but throughout the year! 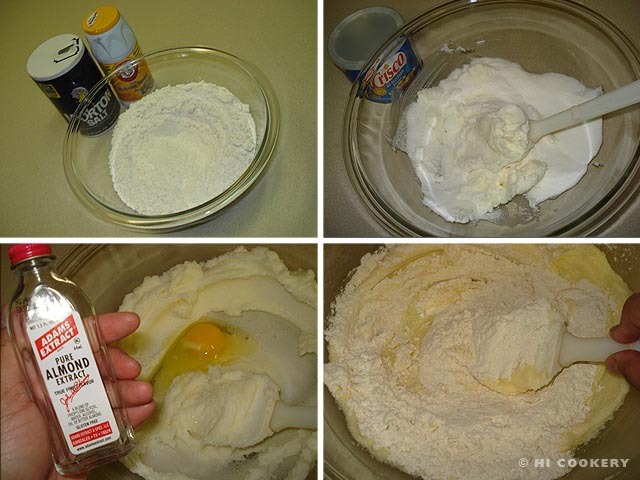 In a bowl, combine the flour, salt and baking soda. Set aside. In a large mixing bowl, cream the vegetable shortening with the sugar until smooth. Beat in the egg and almond extract. Gradually add the flour mixture. Knead until a smooth dough is formed. Roll into one-inch balls. Place on a lightly greased baking sheet, leaving space between each cookie. Flatten the balls with the base of a drinking glass or cup. Make a dent in the middle with the end of a chopstick or cooking rod or a finger. 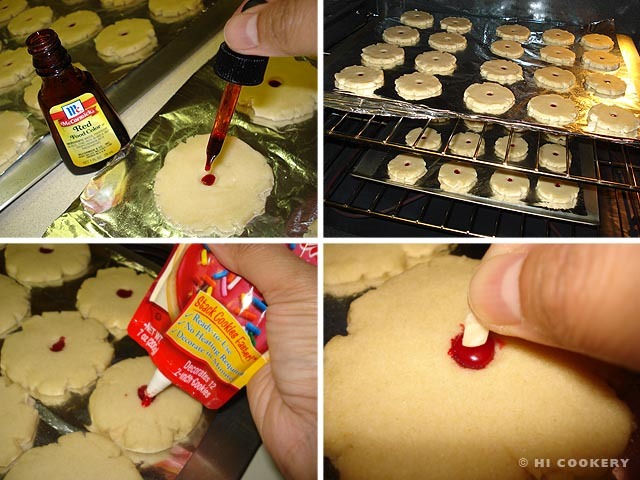 Drop a dot of red food coloring in each dent. Bake in a preheated oven at 325 degrees for 15-20 minutes until lightly browned. Remove from the oven and allow to cool for 10 minutes. Add a little red frosting in the middle of the dent. Top with a piece of slivered almond. Transfer the cookies to a wire rack to cool to a crisp. Yield: Approximately 3 – 3 ½ dozen. Learn more about Chinese New Year foods at the Food Museum website. 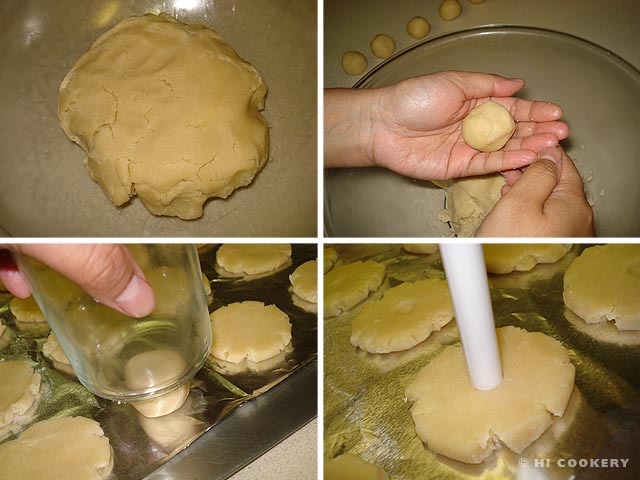 For additional tips on making Chinese almond cookies, read an article in the Honolulu Advertiser.